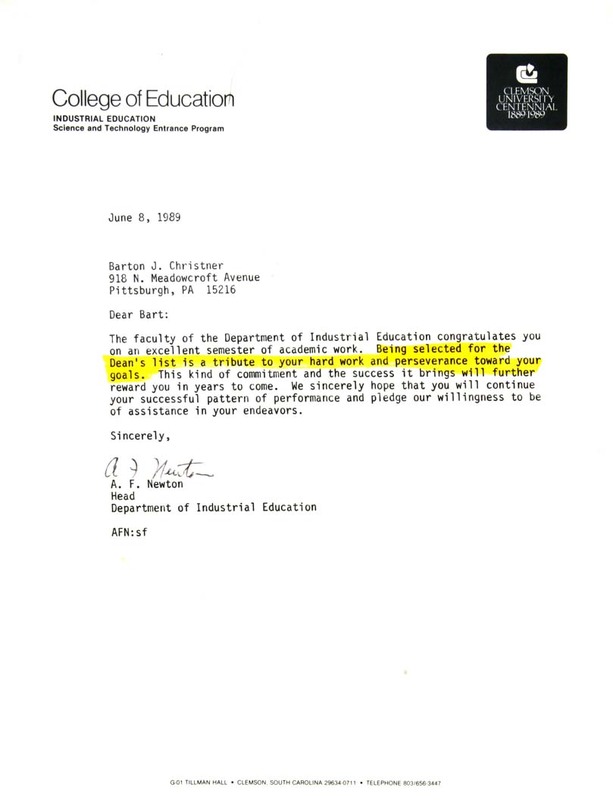 The faculty of the Department of Industrial Education congratulates you on an excellent semester of academic work. Being selected for the Dean's list is a tribute to your hard work and perseverance toward your goals. This kind of committment and the success it brings will further reward you in years to come. We sincerely hope that you will continue your successful pattern of performance and pledge our willingness to be of assistance in your endeavors.